The Stadia range combines contemporary styling with minimalist lines and is engineered by leading radiator manufacturer Reina. 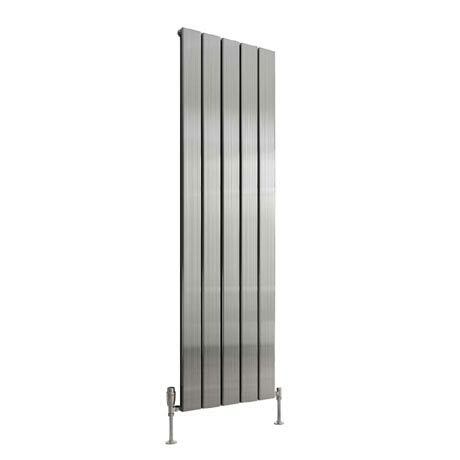 Available in various sizes this stunning radiator is crafted from high grade aluminium and comes in an attractive polished finish. For peace of mind Reina offer a 5 year guarantee. Please select size from drop down menu to view full specifications. Please note: For pipe center measurement including valves add 90mm. Radiator valves not supplied but can be purchased separately. Images are for illustrative purposes.